For over a month, we’ve posted a weekly blog series- Stewards of Steam – showcasing our craft and our people. 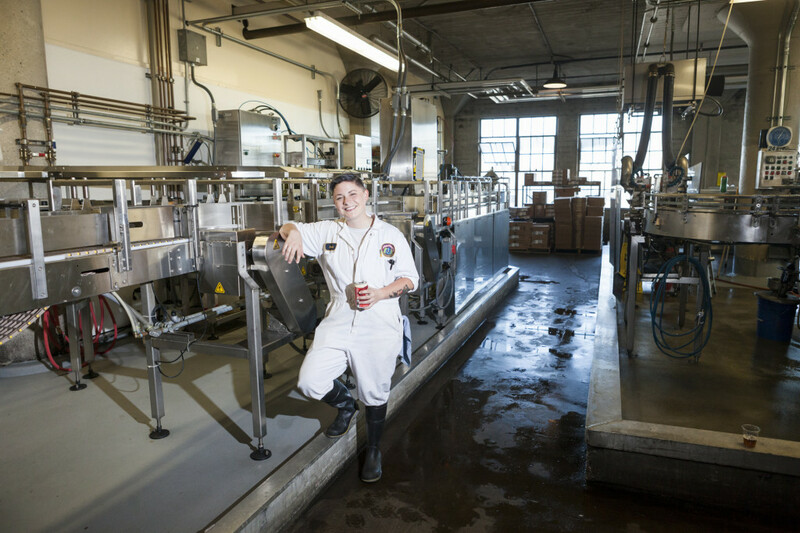 We’ve focused on our dedication to making handcrafted beer in San Francisco and what it takes to continue to do that. 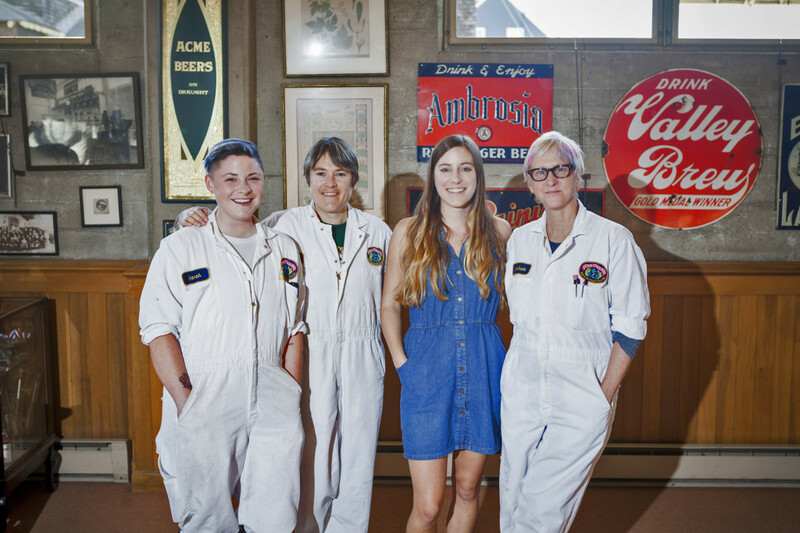 We’ve talked about how Anchor maintains its role as a pioneer in American craft beer. And, most importantly, we’ve introduced some of the incredible people who help make all of this possible. Here at Anchor, we love what we do and we enjoy spending our days creating beer that our fans and craft beer enthusiasts enjoy. And none of this would be possible without a well-maintained brewery and an innovative spirit that permeates our desire to continue creating beer that people love. On any given day at the brewery, there is a lot going on mechanically as we brew, ferment, filter, package, and ship our beer. Our maintenance team’s days are full as they ensure that everything works just as it should. To say there’s a lot to oversee is an understatement. 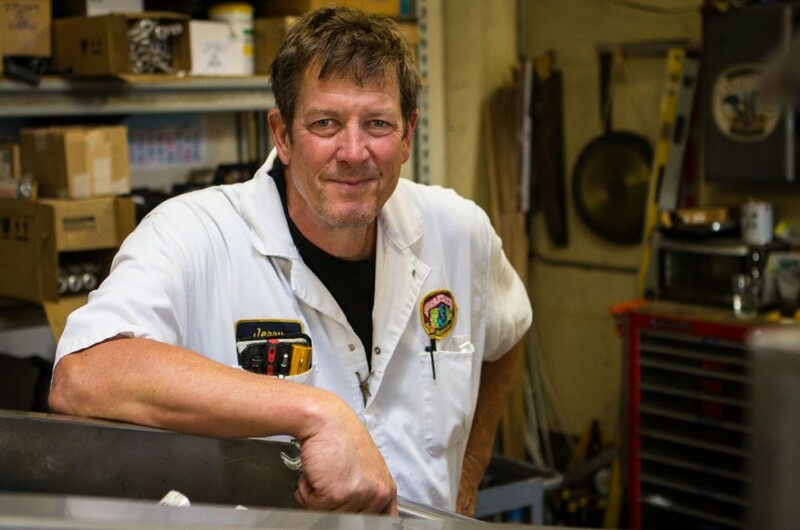 They make sure that everything – from refrigeration to boilers, the brewhouse to packaging, welding, plumbing and everyday troubleshooting – is operating as it should. When Anchor installs new equipment or adds a new production process, our maintenance team plays a big part in getting it implemented. They keep the lights on – literally and figuratively. “I am Dave. I’m the Facilities and Maintenance Manager and I’ve worked at Anchor for 7.5 years. “I am Jerry. I’m part of the maintenance team and I’ve worked at Anchor for 21 years. Maintaining our role as a pioneer in American craft beer means we focus a lot on innovation and new beer development. Anchor’s brewing heritage lays down a solid foundation from which we frequently evolve and experiment. We continually explore new ways to expand and improve our production, finding methods that improve efficiency and quality while maintaining our traditional brewing practices. 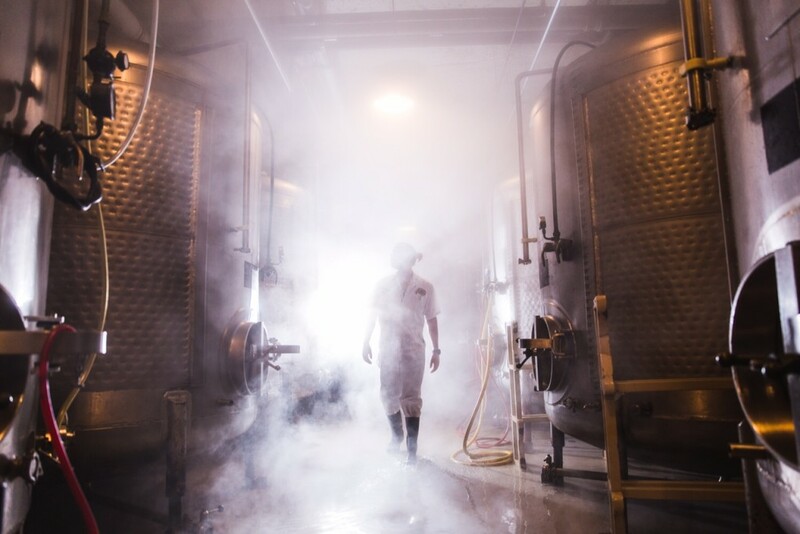 We also research ingredients, processes, equipment, and more that inspire developing new beer recipes. As we continually push the boundaries of our craft, we’ve introduced and expanded production programs like our cask-conditioned and barrel-aging beers. We love keeping craft beer fans on their toes for what’s next. “I am Kyle. I’m the Research & Development Manager and I’ve worked at Anchor for 3 years. At Anchor we package our beer into bottles, cans, and kegs. Our canning line is a relatively new addition to the brewery, joining the Anchor family in 2014. Our petite canning line fills about 60 cans per minute. We now package 7 different beers in cans, meaning almost half of our beer line up is available in cans! Craft beer fans can now enjoy the same, tasty Anchor brews in the convenience of a can, bringing us along to any adventure. Because hey, life is always better with beer. “I am Sarah. I’m a packaging lead for the canning line and I’ve worked at Anchor for almost 3 years. 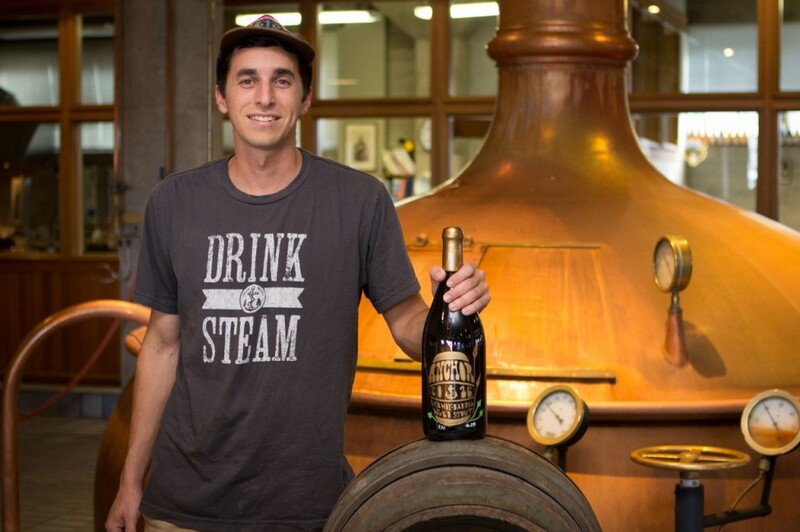 Next time you grab a pint or six-pack of Anchor, #RaiseYourAnchor to Dave, Jerry, Kyle, Sarah, and the rest of our #StewardsofSteam for their hard work behind the scenes. Our Stewards of Steam weekly blog series is going to take a brief hiatus but we’ll be back with more soon!